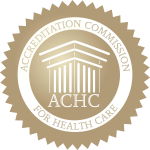 We are accredited by the Accreditation Commission for Health Care (ACHC). Accreditation by ACHC reflects Eden Hospice’s dedication and commitment to meeting standards that facilitate a higher level of performance and patient care. When curative measures are no longer desired or appropriate, Eden Hospice is a compassionate and dignified option. We believe, through effective and compassionate care, patients can approach the end of life with dignity and comfort. Our patient-centered philosophy puts the patient and loved ones at the head of the team. Our highly-trained professionals help manage symptoms and support the patient and caregivers through this phase of life. We are proud to announce that Eden Hospice was selected from the 7 hospice agencies in the area as the 2018 Nevada Donor Network Partner of the Year award. Through our efforts of promoting lifesaving organ donation among our Hospice patients, we help leave behind a legacy of love by giving others the most precious gift.